In 1871, under the direction of William Jackson Palmer, the Denver & Rio Grande Railway began construction. They started by laying 3 feet narrow gauge rails south of Denver. They chose the narrow gauge because of the tall mountains and steep valleys it will be running through. This was cost efficient and would increase sustainability for this railroad. They enhanced the additions of the tracks to embrace the mining towns in southwestern Colorado. It was on August 5, 1881 when the Denver & Rio Grande Railway made its way to Durango. Then on July 10, 1882, the tracks reached the tiny town of Silverton. Right after that they started carrying passengers and cargo. The railroad had its challenges. It was met with yearly snow slides and floods, but managed to survive. After World War II, the railroad started to see a surge in passenger traffic on the train to Silverton. In 1950, with only four passenger cars, travel increased as tourist enjoyed sightseeing on the train ride from Durango to Silverton. They had one train running until 1963 when a second was added. A third was added in October 5, 1980. 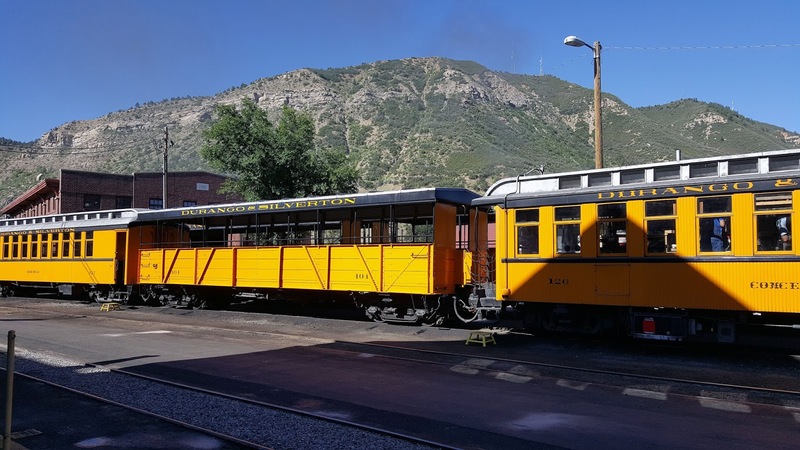 Today, you can enjoy a train ride on a narrow gauge steam locomotive from Durango to Silverton. You travel 45.2 miles of pristine scenery though the most breathtaking land. My family and I just recently took the train ride and it was amazing. We sat in an open car and could smell the smoke coming from the steam/coal engine. The weather was perfect as we enjoyed the beautiful terrain. The cars rocked back and forth. This made things a bit difficult when getting beverages and food four cars away. I bumped into other passengers as I walked like a drunk to get our snacks. On the ride back, I got margaritas and thankfully they had lids on the cups because the drinks would not have made it back to our car. I was thankful they had bathrooms. All and all, the train ride was fantastic and I was so glad that I got to experience it.